Losing the weight and keeping it off….. However, with Arbonne, I found it simple to lose the weight. Lucky for me, I found Zumba last month before I hurdled myself head first into the all-organic fruits and veggies and grass fed meats. I have to tell you, it makes all the difference in the world. I wish I would have gone ahead and switched to organic months ago! Here’s why: Because there are no toxins or added chemicals in organics. A lovely add-in to your non-Toxin Arbonne products anyway. And while you’re on the seven-day-cleanse, you’ll want to steer away from anything that isn’t organic anyway. I’m also going to say, it’s not a breeze! It was for the first couple of days, but I’m on my ninth day. I’m cranky, irritable, and I find myself going to bed at 8pm. Not because I’m hungry, constipated, or sluggish. On the contrary. My body is detoxing, eliminating all those nasty chemicals and toxins that have been in my body for years. Naturally, a detoxing process isn’t going to be peaches and cream and heaven up above, like it was putting them into your body (lest we forget all those half-an-hour lunch breaks, running to Burger King and stuffing your face with an Angus Beef sandwich, large fries, and a super sized coke–my apologizes if B.K. isn’t the one who sells the Angus, but I lost track of what they sell after I hit a certain age, and it was frowned upon to ask for a kids meal). As for being hungry, for a few days there, I was hungry, a lot! But after the Arbonne protein shakes started working their magic, I found that I haven’t been as hungry as much as usual. The normal day consists of a breakfast Arbonne Chocolate or Vanilla and Berry protein shake, lunch is either a green veggie or berry protein shake, and Dinner is a fist sized portion of grass fed lean meat, High Fiber Carbs (Beans, Brown Rice, sweet potatoes, etc), and filling half my plate with non-starchy vegetables. This week, however, dinner has consisted of a shake as well, because I am not hungry enough to eat dinner. I should also mention, you should eat your third meal, instead of a shake. It’s not like i’m too lazy to make it, after all, I’m feeding my daughter and my step-dad dinner every night, so the food is there, just not the enthusiasm to weigh down my stomach, when it’s so much easier on me to just have a shake, and feel light anyway. This is different for everybody…you might really want that dinner–or you would be like me and know that you just can’t stomach such a “big” (actually it’s quite small) meal. Lets talk about the products I have been using. The Seven Day Cleanse: Start your diet out on the Seven day cleanse and detoxify your system. You can do it for seven days, or the maximum amount of 14-days (buy two in that case). If you are concerned about some things that are going on, e-mail me, and I’ll explain to you whats normal and whats not. Herbal Detox Tea: Good health support for the kidneys that includes a hint of mint. I prefer to have this in the morning and after dinner. Fiber Boost: I’m sure you know what this is for. One scoop in your water, shake, or other beverage, and one scoop in the afternoon. Protein Shake: My personal favorite happens to be the vanilla flavored shake, but most people like chocolate. This is where your nutrients for the day will come from, so remember to include berries or greens to make sure it is balanced. Fit Chews: This is a great snack. It helps get rid of hunger, when needed of course. Fizz Tabs: For anyone who just needs to have that caffeine in the morning. this is a great boost for your energy level. Sea source Detox Spa: Another great way to eliminate toxins in your body for a greater chance in losing excess weight. Digestion Plus: an easy way to support digestive health, and you can hardly taste it. Metabolism Boost: To help you boost your metabolic rate, and help you lose the weight. No one will be twisting your arm, saying, you HAVE to use all these products. I use them all because they are safe, chemical free, animal and animal by-product free, herbal supplements. Not only that, they work. You also don’t have to buy them separately. 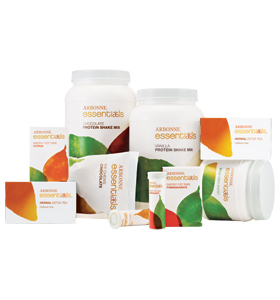 We have sets you can buy to help you save money, and lose the weight…. To view all of our different 30-Days-to-Feeling-Fit sets, visit the Arbonne Fit Essentials page. You will also find the other products I have mentioned sold separately if you don’t think you’re ready to take the plunge as I have. I would love to see other people join me on this quest to get thinner and healthier!